DJ Fatboy Slim, aka Norman Cook, gives his Football Focus predictions for the final round of Premier League matches this season. Brighton fan Cook tips title contenders Manchester City and Liverpool to both win their final games, which would mean City are crowned champions. 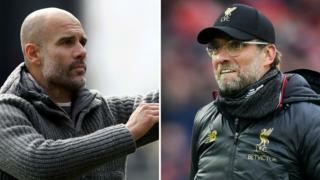 All 20 Premier League clubs play at the same time on Sunday, with matches kicking off at 15:00 BST. 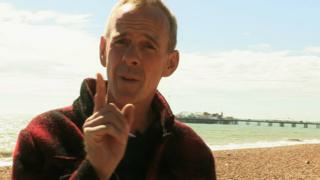 Watch Fatboy Slim take on Football Focus pundit Mark Lawrenson in the Premier League predictions game, Saturday 10 May, 11:30 BST on BBC One and the BBC Sport website.